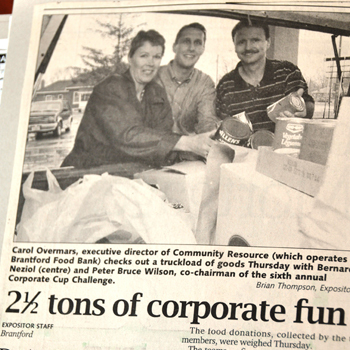 Community Resource Service began as a result of the economic hardship that hit our community in the late 1980s. Originally called the Brantford Unemployed Help Centre, our organization started by providing support and advocacy to those affected by the economic downturn. As a local charity, Community Resource Service provides support to those in need and has developed programs to support individuals and families facing economic hardship, and for those needing support in finding employment. In 2013/14 Community Resource Service began separating their two main brands: The Brantford Food Bank and Community Employment Service for better recognition and understanding in the community. Our programs include: Food Bank & Distribution Services, Employment Services, Christmas Baskets, Stuff A Backpack, Tax Clinics, Fresh Helpings, Good food Box, and more.